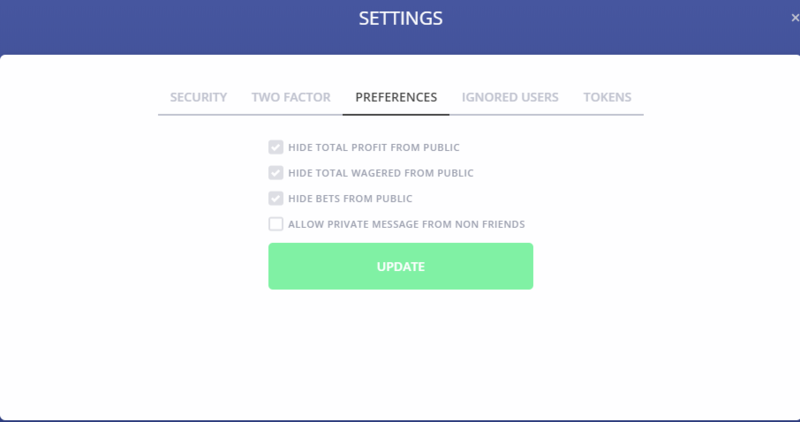 AnonymousBet in Official Promotions not allowed! In Primedice official competitions it is necessary that the bets be public in your profile, otherwise, if your profile is set to be hidden, then you will not be able to post your bets in the competition. In your player profile, go to SETTINGS and make sure the HIDE BETS FROM PUBLIC check box is cleared. So I unselected the HIDE BETS FROM PUBLIC option and this way I was able to post my bets in the competition. Click the UPDATE button to update the modifications. 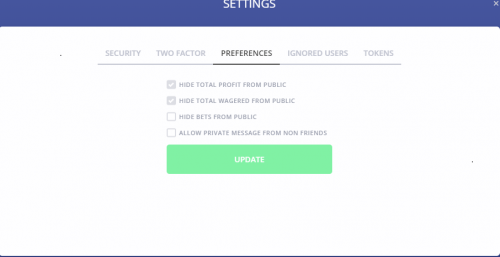 Now you can post your bets in the competition! Thank you for submitting this simple guide, I hope some of the new users find it useful, especially when participating in the Challenges.